What’s the purpose of this blog? 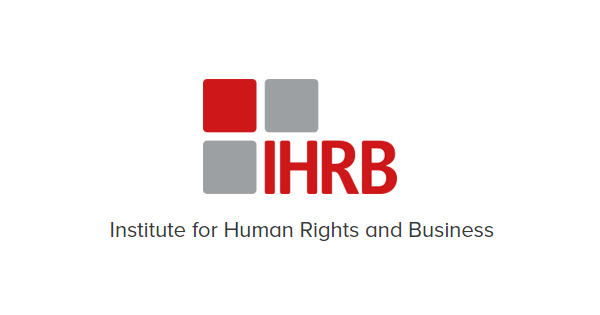 During this week’s lecture, the Institute of Human Rights & Business was mentioned as a useful resource, so I decided to have a look over their website. I found on their publications section, a subsection called ‘supply chains.’ I thought it would be interesting to look more deeply into these issues as a follow up from the article I looked at last week on transparency within supply chains. 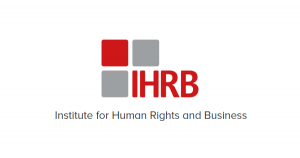 The article from the IHRB that started me off is entitled ‘Responsible Recruitment – Turning Principles into Practice.’ You can find the link to it here. Much like last week’s article, this piece notes how there are still many instances of ‘modern day slavery’ happening globally. However, instead of placing emphasis on the government to ensure transparency of supply chains, they are placing it on industry leaders and business owners themselves to comply. The article mentions the Consumer Goods Forum (CGF), and their work with businesses. This organisation essentially works with businesses and organisations to ensure that they are progressing and successful while also getting the best results for the consumer and limiting the business’ impact on the world around it. This ranges from environmental impact, to food safety, to preventing businesses taking advantage of their employees. I briefly looked over the list of members on the programme and although there are over 400 businesses associated with CGF, comparatively to the amount of businesses there are in the world, this is just such a small fraction. Why are businesses so unwilling to take responsibility for any negative implications they have on the world around them? I noticed that Amazon are one of the members of the CGF, which is interesting when considering the amount of flack that they receive regarding tax evasion and treatment of their employees. I remember an article from The Independent from 2015 about how poorly Amazon have treated their employees, if you’d like to read more about this issue you can find this article here. It feels like to me that for majority of businesses, they are only willing make business ethics a priority if their profits are at risk due to consumer backlash. It is such a shame that by law it is down to the state to enforce human rights practices and it is not the responsibility of the business themselves. That is why organisations such as IHRB and CGF are so vital, as they can liaise with and put more pressure on businesses to perform more ethically.